The other day, a student and I were looking at a piece with a l-o-n-g crescendo marking on it and she wondered how long the longest crescendo was in any piece. For those who don’t remember, crescendo means to get louder and decrescendo means to get softer. The sample below gets louder, then softer. Most everyone, including my student, knows that this is possibly my least favorite piece of music but I still played a bit of it for her anyway. In a video that looks just like a segment of Disney’s Silly Symphonies or Fantasia, artist Simon Brethé animates the pentagram, making the notes of Ravel’s Bolero do feats ranging from charming a snake (the oboe) to serenading a girl at her window (the saxophone). At one point of the performance, one member of the string ensemble gets his bow tangled in the pentagram, a distraction that, subsequently, wreaks havoc in the entire orchestra. 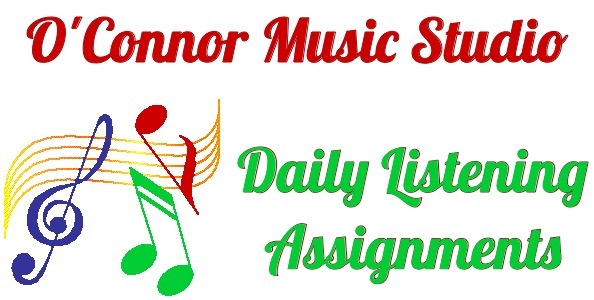 This entry was posted in Composers, Daily Listening Assignment and tagged Bolero, crescendo, Daily Listening Assignment, decrescendo, flashmob, Maurice Ravel, piano, video. Bookmark the permalink.